My grandmother died almost four years ago. I miss her so very much. 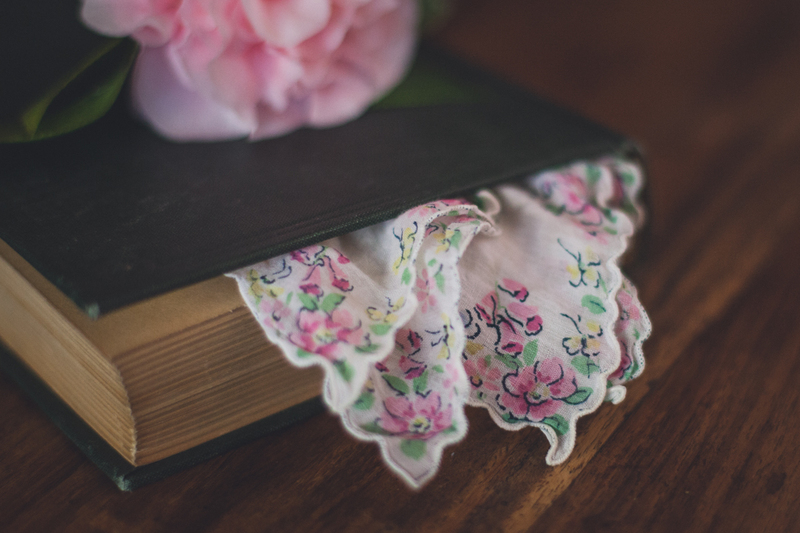 I have a handkerchief of hers that I love and keep with me. It catches my tears, whether they be for her or simply because life can be hard and painful. Growing up, she had a camellia bush. 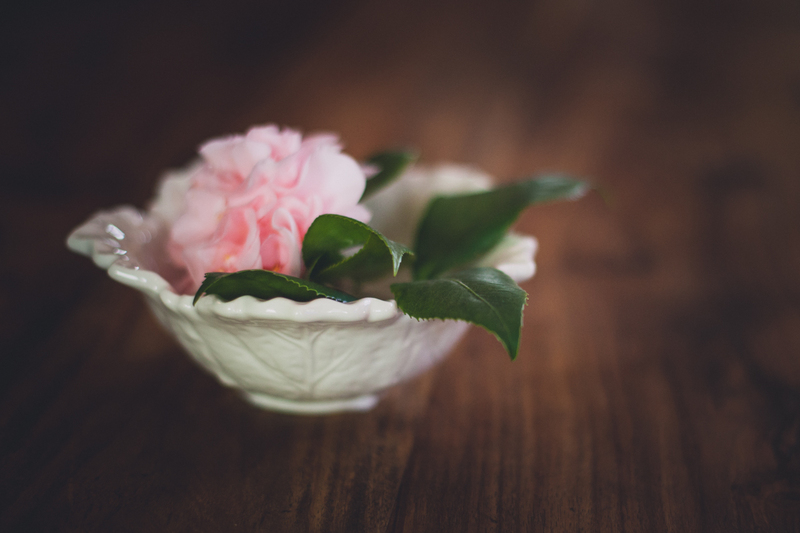 Every time it bloomed, she would cut flowers and let them float in water in small bowls around her house. 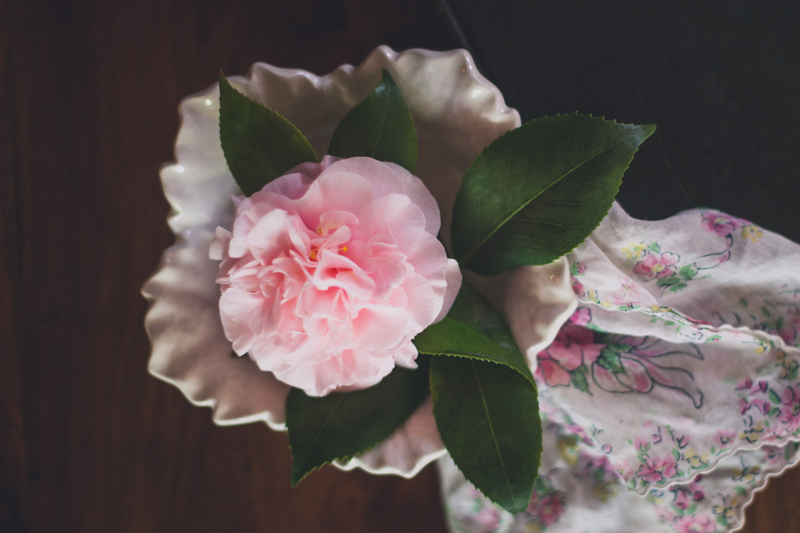 As a child, I never noticed that the camellia blooms in through the winter and on into spring. Of course, it does. My grandmother hoped in many winters of her life, she would love a bush that reminded you that there is a warm joy in the midst of the cold winters and reminds you of the winters you survived in the spring. And it is a reminder we all need. The winter is a time of cold, storms, and gray skies. So are the winters in our hearts. We feel cold and alone. We feel like the world is against us, blowing us from one melancholy emotion to another. We look outside of ourselves for hope and can be disappointed by insensitive, broken people. 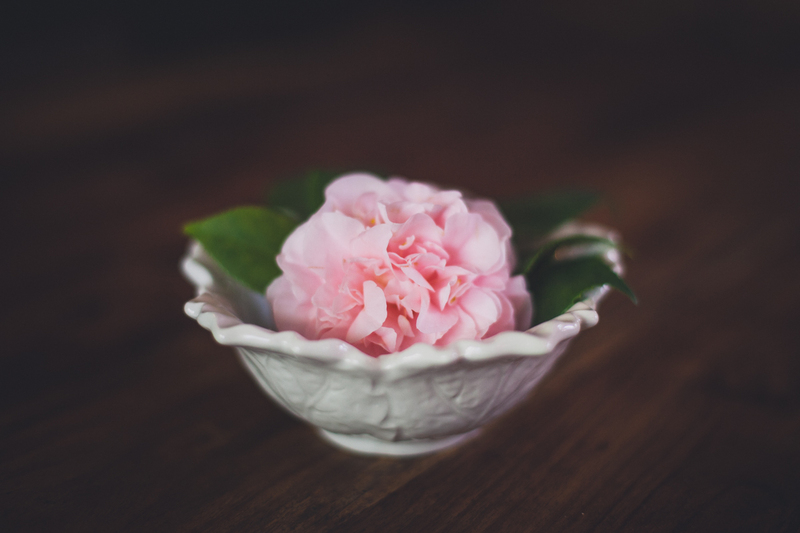 But if we look carefully, I believe there is a camellia bush for all of us. There are people that know how to hold the grieving with gentle and compassionate hearts. 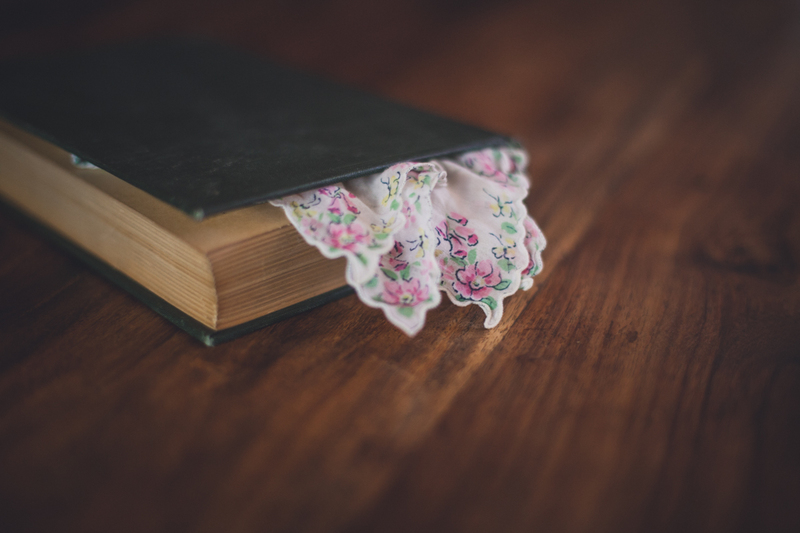 There is a Comforter that clings to us when we are too tired to cling to anything. And if we look deep enough, we find a strength in ourselves that endures until spring. So, for those of you in the midst of a stormy winter, may you find your camellia. May you seek and find the Comforter. May your cry for comfort be greeted by a gentle soul that knows how to love the brokenhearted. And when spring comes, because spring will come, may you be reminded of the love and compassion you were graciously granted. May you be reminded again and again of the strength you found in yourself and in the souls that love you. I am leaving you with a lovely poem by Yehuda HaLevi. May it bless you today. Ah Stacie, this is so lovely! 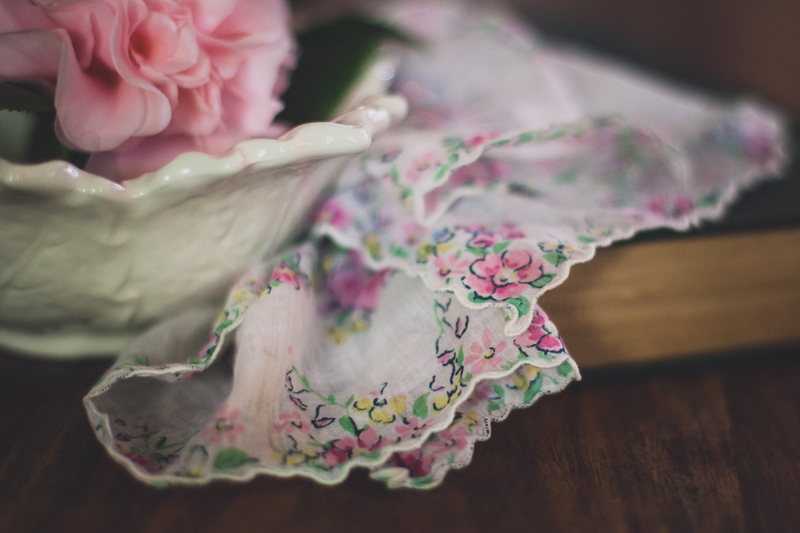 The flowers and handkerchief are so pretty, and the photographs capture the sentiment so well. Gorgeous! This is so beautiful, Staci, both words and images. I am borrowing that poem. Thank you! It is a good one, isn’t it? Never thought of the Camelia blooming in Winter and on into Spring and I have two bushes outside my windows. I love to gaze at them and watch the hummingbirds pause for nectar. This really touched my heart today Staci. Thank you for sharing your truth – such a universal one of the balance between joyfulness and grief. 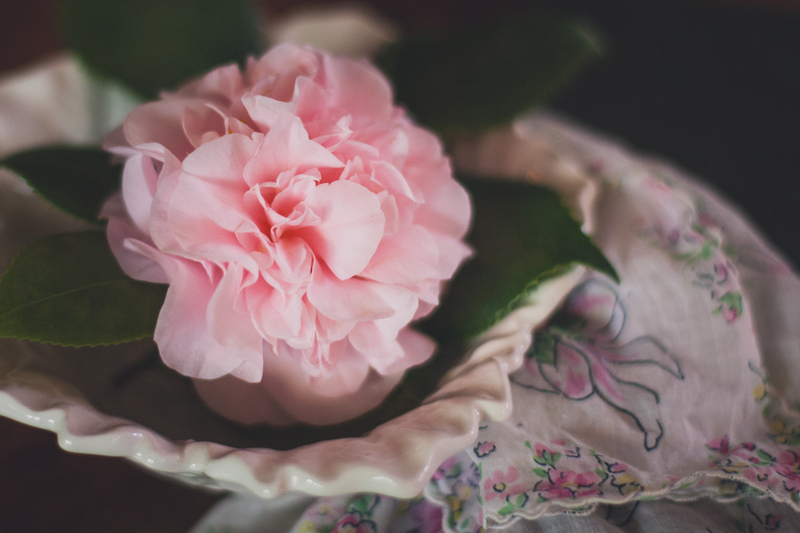 The images of the camellias and of your grandmother’s spirit are beautiful and I have copied the poem because it is so very meaningful to me. Thank you dear one.